This is a big, round, fruit-forward, crowd-pleasing mouthful of wine. Drink with medallions of beef. Highly Recommended. 92 points. 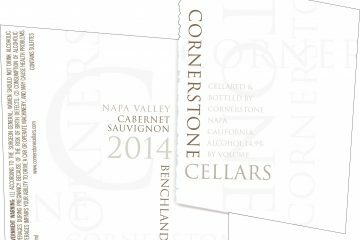 At the third annual Palate Press Grand Tasting, last November, several reader-voted Palate Press Wines of the Week were included in a blind-tasting Palate Press Wine of the Year competition. 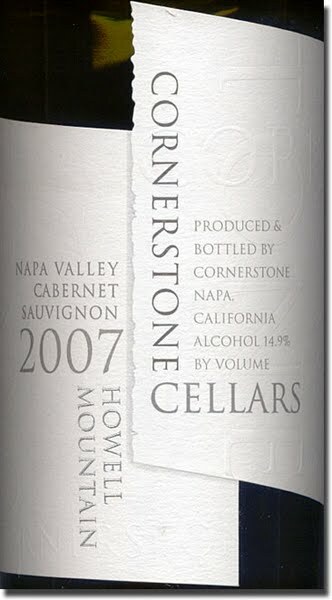 The scoring was done by a group of wine professionals, and the winner was the 2007 Cornerstone Cellars Howell Mountain Cabernet Sauvignon. Improving with every sip, gaining structure and depth with every extra minute of air, this is a beautiful baby that will, with time, mature into a gorgeous adult. Dark fruit (blackcurrant and mulberry) has a background of tobacco leaf and the tiniest touch of cayenne. Rich very dark chocolate and espresso pop on the mid-palate. Tannins are very sweet and dusty. 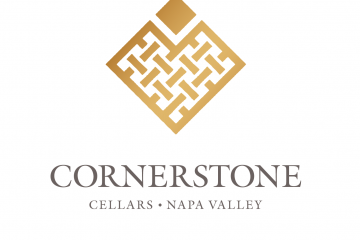 Even with all the rich sweetness, it also has good acids and an underlying minerality, offering a decade or more in the cellar, maturing and offering layers of primary and secondary flavors in the future. Drink with a good steak and a better friend. Very highly recommended.